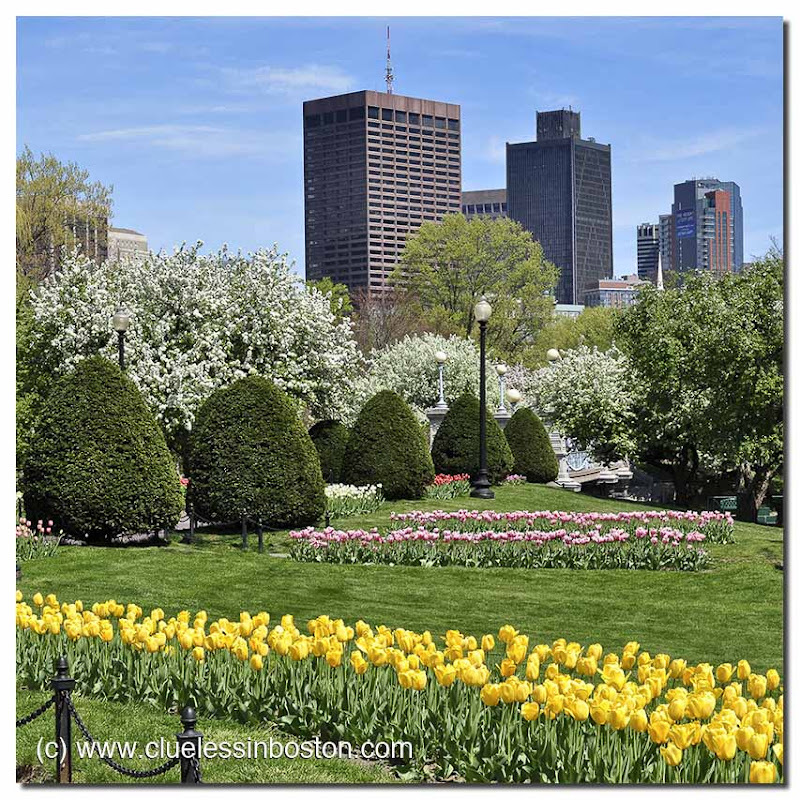 Spring in the Boston Public Garden. Nature versus walls! What a great picture! Looks heavenly! I love all the layers! Such a beautiful array of colours, and what a nice little escape from the busy~busy world out there. Wow, everything's blooming at once! Beautiful shot. Simply gorgeous take here ! Love not only the buildings up there and closer... nature... beautiful flowers/tulips !! Makes it also a great compo with these lines of tulips !